The world-renowned photographer Charlie Waite, is the inspiration and driving force behind this competition. His commitment to encourage the next generation of photographers is well known. Having led workshops in the U.S.A. for decades, Charlie has long been enthralled by the drama and diversity of its landscape. Through this high profile competition, which is open to photographers from all over the world, he hopes to give entrants a platform through which their talent and hard work can reach a wider audience and showcase the great landscapes of the U.S.A.
e) they have received any necessary permissions from the owner(s) of buildings included in submitted images for the usage rights required by the Competition in #16 and will indemnify USA LPOTY against any claims made by any third parties in respect of such infringement. Entrants, whose work is short-listed as a semi-finalist or above, agree to take part in any on-line galleries run by any of, but not limited to, USA LPOTY, USA TODAY, Popular Photography, Popphoto.com, American Photo, Amateur Photographer and Outdoor Photography and in any post-Competition publicity and agree to the use of their winning image and name and likeness for this purpose without compensation. USA LPOTY reserves the right to refuse or remove an entry from the Competition for any reason. 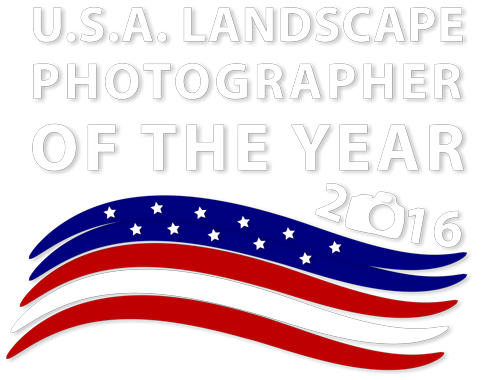 USA LPOTY will remove any entries from the competition that it feels may breach or contravene laws of public decency or may bring the photographer, the Competition, Take a view or any of its sponsors into disrepute. Such entries will be deemed as void and any fees paid will not be refunded. e) for use in press, promotional and marketing materials – both print & digital that may be published before, during or after the Competition. Entrants also agree that the organisers can sub-license images to the media and to the Competition’s sponsors and supporters for reproduction in connection with the Competition.